Because our son Amitai is training new recruits for the Border Police I attended the swearing-in ceremony at Tel Hadid. Hadid is mentioned in Nehemiah 7 in the list of cities to which Jews returned from the Babylonian exile. In excavations at Tel Hadid archaeologists found a typical four room house, numerous potsherds from the Iron Age (9th-8th centuries BCE) and two complete tablets, written in cuneiform, Assyrian legal documents one recording the sale of land dating from 698BCE and the other a promissory note from 664BCE. The tablets are evidence that with the conquest of Judea by Sargon II foreigners from Babylonia were settled at Hadid. Continuing north past Tel Hadid along highway 444 (which follows the route of the Via Maris) is a small stone building, a Roman mausoleum, amazingly intact and graced with a magnificent temple-like façade in classical style, two columns with Corinthian capitals framing a single entrance (closed originally with a stone door, note the recesses on the doorposts for a mezuza). 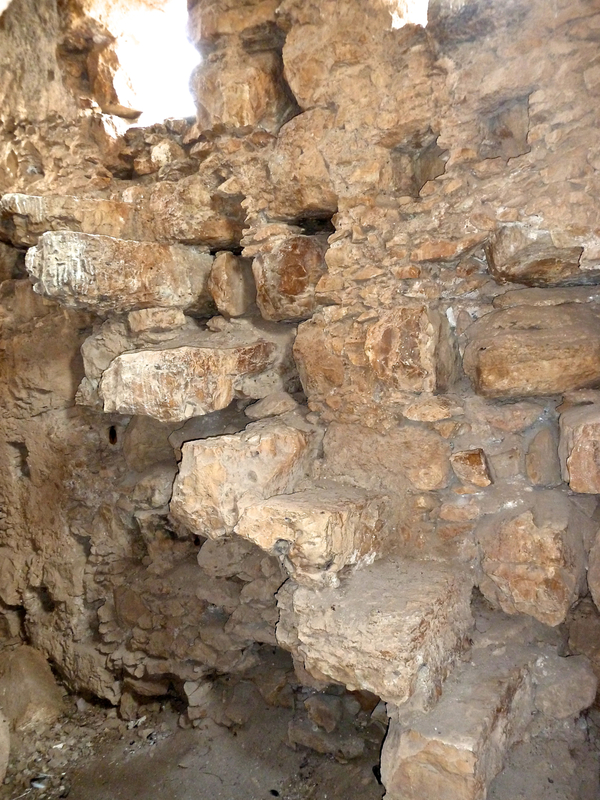 According to the style of the building and the remnants of two sarcophagi (stone coffins) in the floor of the main chamber, archaeologists conclude that it was built in the beginning of the 4th century CE for a wealthy landowner and his wife, although their identities remain a mystery. 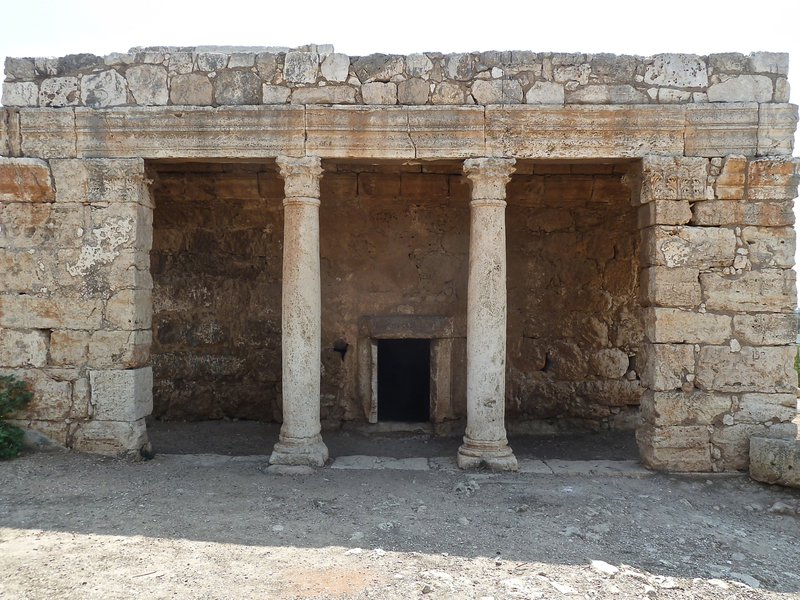 A second chamber to the left is a columbarium with about 60 “pigeonholes” where doves were raised for sacrifice to Aphrodite. Of interest is a cantilevered stone staircase leading up to the opening at ceiling level. 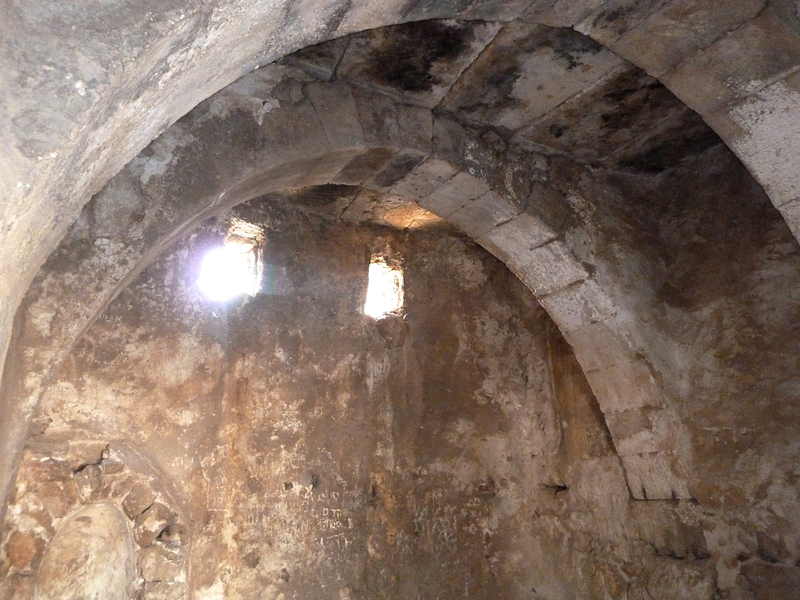 Later the Muslims added a michrab, a niche in the southern wall signifying the direction of Mecca, and dedicated the site to Nebi Yihya, associated by local tradition with John the Baptist. In this way, the building was preserved through the ages. 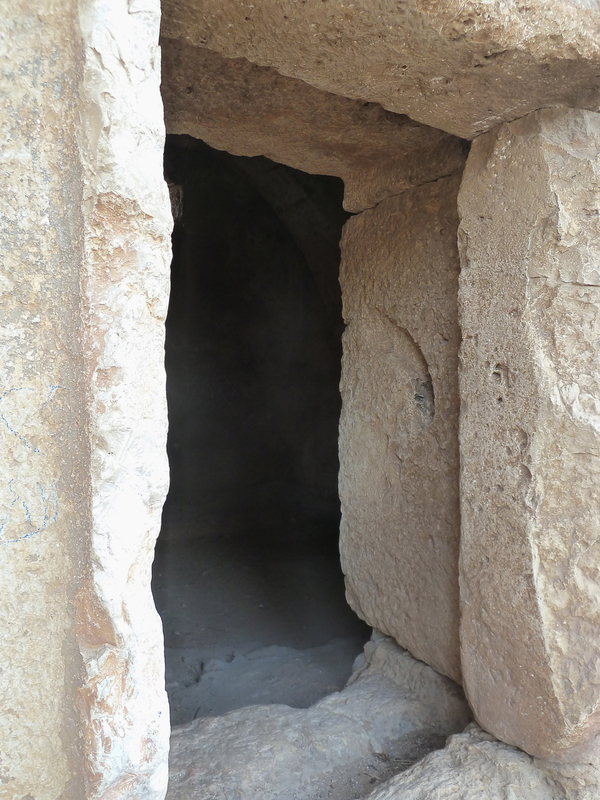 This entry was posted in Archaeology, Architecture, Tomb and tagged columbarium, sarcophagus, stone coffins, Tomb on September 19, 2012 by Shmuel Browns. Really like the look of your new format! The park in which the mausoleum is situated is called the Mazor National Park. Thanks. I felt that it was time for an updated look.